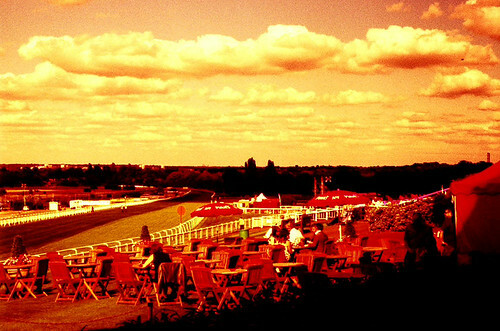 Channel 4 has just done a deal with the Racecourse Media Group to become the exclusive free-to0air broadcaster of horse racing of all forms of horse racing in the UK. At first glance, it’d seem to be a good deal, with Channel 4 picking up the rights to prestigious events such as the Grand National, the Derby and Royal Ascot. Having just concluded its coverage of Cheltenham, I’m sure the C4 Racing team are excited. As a result of the deal, there’ll be no horse racing coverage on the BBC. At this point I should admit that I have no interest in the sport at all. I might watch one of those big races, but that’s about it. And even the National’s appeal is waning as nobody likes to see dead animals on the course. So does it matter? Well if I were in horse racing I’d say that yes, it does. They’ve just put all their eggs in one basket. So when this four year deal comes to an end, there’ll be just about no other terrestrial broadcasters interested. Roll back a few years, and you may remember that Channel 4 threatened to pull out of horse racing altogether. In the end, they ended up continuing, but being subsidised by the racing industry to do so. Usually broadcaster pay for sports rights. They don’t get paid themselves! This deal turns that around with Channel 4 putting up cash. But when it comes to renegotiation, I wonder if the sport won’t find itself in a position where no other free-to-air broadcaster will be interested since they no longer cover the sport, and hence their bargaining power will be minimal to non-existent. Horse racing survives on betting. And the betting industry seems to be moving more and more towards football and away from horse racing. The sport needs visibility. In the short term, that’s precisely what Channel 4 is offering. But what will happen in four year’s time? The BBC won’t be interested. Channel 4 will be, but they won’t need to pay too much (if anything) to retain the rights. Only pay TV would otherwise be interested, but with several racing events “listed” they have to be broadcast free-to-air. All that seems to imply a great deal for Channel 4, but I wonder if it’s in the best interests of the sport in the long run?